Poodle Writes: Spoiler: Harry Potter Dies. JK! ... Rowling. I saw HP7p2 tonight. Loved it. Probably because I haven't read the book recently or thoroughly enough to be persnickety about all the stuff I'm sure they cut out. We aren't real ... but you wish we were. How come the passage of 19 years didn't do anything to Hermione's face? Also, Harry's son seemed like a total pansy. "What if I get put in Slytherin?" 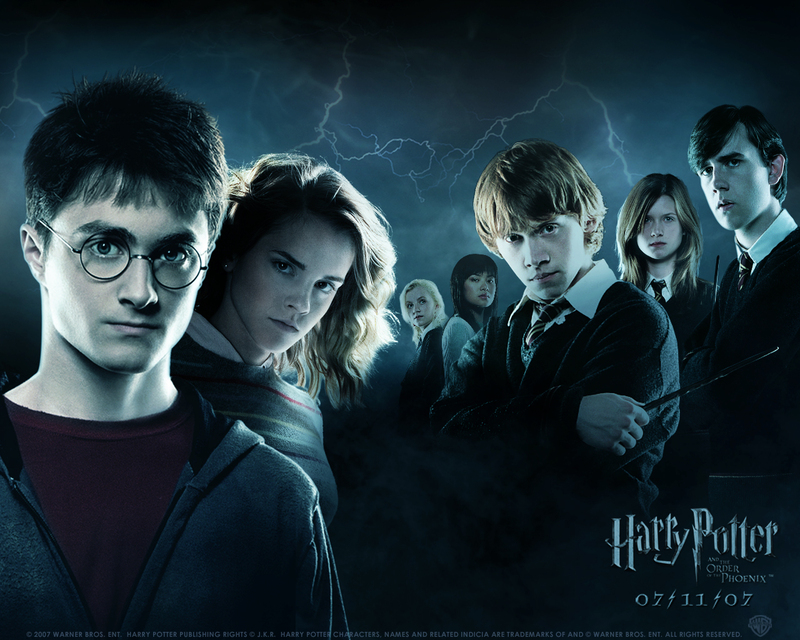 Harry should have said, "You better be a Gryffindor! If you aren't, don't come home for Christmas. Santa doesn't give presents to Death Eaters." 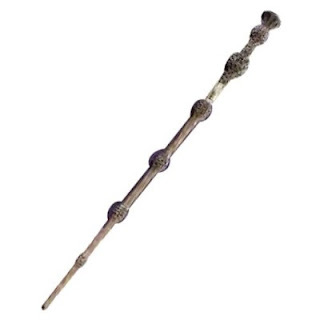 The Elder Wand looks like it has a little wasps' nest every few inches. I hate when you've been waiting for a kiss for seven books, eight movies, and eleven years, and the shot of the kiss is blocked by Rupert's fat head. Gah! Where does Hermione get her shoes? I liked them a lot. Also, where does she get her face? Jealous. Snape. Too many conflicting emotions about Snape. Love to hate him, but love him! My arms got tingly when Professor Flitwick started casting the force field charm. That's when you know a movie is true. Haha, that was the best review of a Harry Potter movie I have ever read. You should go back and review the other movies. I especially laughed at "Santa doesn't give presents to Death Eaters!" Genius. And true. They are on the naughty list. And Harry's kid isn't a pansy. Harry was worried about the same thing. Besides, the kid only worries because his older brother teases him about it. Did you just love Voldemort's hug? Hilarious. Of course, I saw it with Jonathan, who likes to make ridiculous comments during the movie that I can't help but laugh at. Like when Voldemort "blew up" and his ashes or whatever they are floated up into the air and scattered, Jonathan leaned over to me and said "Don't breathe!" This is a long comment. But I have something else random to tell you. On campus the other day, I saw a girl that looked JUST LIKE Robin. Same build, facial features, style. Except for one thing. She had YOUR hair. It was crazy. I wish I could have taken her picture for you. LOVED the movie. Bawled for 15 minutes straight. The scene with the resurrection stone always gets me. I also loved the scene with Snape clutching the lifeless Lily to his wrecked and desolate breast! LOVE Snape. BEST character of the series. You don't have to like him as a person. As a character, though, in Ron's words: BRILLIANT. Jessica--I totally thought the same thing about Voldemort's ashes: I am inhaling Voldemort! I am a horcrux now!!! And the hug was super creepy. Poor Malfoy. I forgot that Harry's bro had been teasing him. Was that in the movie or just the book?